What is an Interior Designer? Is this Different from an Interior Decorator? One of the most commonly asked questions in Winnipeg and other areas is “What is an interior designer?”, and another is if this is the same thing as an interior decorator. These are not the same although they are similar in some respects. An interior decorator is a professional who furnishes and decorates spaces so that they are more attractive and appealing but they do not perform any design services. An interior designer has training in planning and designing spaces and layouts so that they are appealing, functional, and meet the client needs for the space perfectly. There are a number of requirements that you must meet in order to become an interior designer, and there are schools in or near Winnipeg that offer courses and degrees for interior design. Typically a Bachelor’s degree in this field is needed because you must understand business skills, building requirements and codes, lighting, wiring, safety, spatial layouts, how to create drawings and presentations, commonly used principles and practices in this area, and many other things in order to practice interior design. The educational requirements are just part of what you need if you hope to become a successful interior designer in Winnipeg. You need to have an artistic flair and plenty of creativity. You should be imaginative but also develop skills in business related areas as well. You will need to be well organized and disciplined to succeed in this industry. Your services will include identifying, researching, and then creatively resolving any issues with safety, function, comfort, appeal, or efficiency in a space. You will work to make the space fit with the needs of the specific client. As an interior designer you will need to work with clients, contractors, building inspectors, and other professionals to ensure that the finished space meets all of the necessary requirements and is in full compliance with all of the regulations and safety codes. You will also need to have great communication skills and be able to communicate your plans and designs to others effectively. As an interior designer in Winnipeg you may choose to go into one of the 3 main specialty areas. These are residential, commercial, and industrial. There are also a number of sub specialty categories in each of these main categories. • Residential – This interior design category means that you will specialize in residential properties such as homes and apartments. • Commercial – If you choose this specialty as an interior designer then you will be working with commercial properties where the public or other types of customers will visit. • Industrial – Industrial properties include manufacturing plants and other work or product based structures. Some Winnipeg interior designers choose to specialize but this is not necessary. You can choose to consult on all three types of properties if you choose. With all properties you will be responsible for making sure that the space is functional, efficient, safe, and comfortable. The University of Manitoba offers two degree programs for interior design students from Winnipeg and other local areas. These are the First Professional program and the Post Professional program. Both of these programs are specially designed to meet the needs of interior design students based on their level of knowledge and competence. The First Professional program is designed to meet the needs of students who hope to start a career in the field of interior design. The graduates from this Master of Interior Design program meet the qualifications to practice in this industry and have the required knowledge and training to be successful as a Winnipeg interior designer. This program takes s full two years to finish. The Post Professional program is designed for students who have already earned their First Professional Interior Design degree and is research oriented in order to further the knowledge that the student has of interior design disciplines, principles, and concepts. This program takes a year and a half to finish. The University of Winnipeg does not offer a degree program for interior design but it does offer some courses that include this topic. One of these courses is Modern Architecture and Design, course HIST 3829. In this course you will look at and analyze 19th and 20th century architecture and monuments and look at the interior design theories and principles involved. Credits for this course may transfer to a university which offers an interior designer degree program. Red River College in Winnipeg does not offer an interior design program but it does offer a Residential Decorating certificate program that focuses on design principles. The course is designed to teach you the skills necessary to improve the function, quality, comfort, and appeal of an interior or exterior space. • In the year 2014 there were 24,100 professional interior designers employed in the Winnipeg region. • The average median age for Winnipeg interior designers is 39 years old. • 6,000 new interior designers are expected to be needed in the Winnipeg region between 2015 and 2024. • Almost 58%of interior designers in Canada specialize in professional, technical or scientific services. 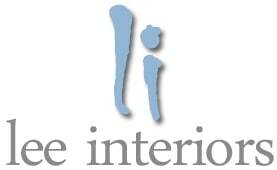 • Slightly more than 18% of Winnipeg interior designers specialize in retail trade spaces. • Just over 8% of Canadian interior designers work with the construction industry. • Around 6% of Winnipeg professionals in this field choose to specialize in manufacturing spaces. • Approximately 2% of interior designers in the region choose to specialize in real estate, rental, and leasing property spaces. • Less than 2% of Winnipeg interior designers choose to work with wholesale trade spaces. • 37% of professional interior designers in Canada are self employed while the rest work for someone else. • Around 77% of Winnipeg professionals in this industry work full time. The remaining professionals only work part time. • 4 out of 5 interior designers in Canada are women, although men are showing more of an interest in this field as time goes on and this is expected to change some in the future. • Both interior designers an interior decorators are members of a group called the Creative Designers and Craftspersons. 11% of the group members in Canada belong to a union. What can you Expect to Make as an Interior Designer in Winnipeg? There are many different factors that will determine what you can expect to make as an interior designer in Winnipeg. Your level of experience, the type and scope of the design project, the specific client budget, any area of specialty that you have, and other factors will all play a role in how much you can make in this field. The average or median salary for an interior designer in the Winnipeg region varies considerably. On the low end you can expect to make around $15 an hour or $34,067 per year. The high end can mean as much as $30.77 an hour or about $47,130 per year. The actual amount that you can earn as an interior designer in the Winnipeg region also depends on you. If you are only willing to work part time in this profession then you will normally make less than you would if you were working at it on a full time basis. The more experience that you have the more your earning potential can be, and this experience is only gained through working in this sector. What Services do Winnipeg Interior Designers Offer? Is Interior Design the Right Career for You? Before you invest 2 years in an interior design program you need to determine whether this career would be right for you. Just being creative and having an imaginative flair for decorating is not enough to be successful as an interior designer. You will need to have sharp business skills, be able to communicate with a wide range of people, be good at giving directions and describing your plans in a way that others can understand and carry out those plans, and exceptional research and analytical skills. You will also need to fully understand building codes and safety requirements, have great spatial understanding, and understand many design concepts and principles. Good time and project management skills are also a must so you must be disciplined and organized. Many people in the Winnipeg area have built successful careers as interior designers, and this may be a possibility for you as well if you are interested in this field and have the qualities needed to be a success in this industry. By Lee| 2017-01-30T21:11:33+00:00 January 10th, 2017|Informative|Comments Off on What is an Interior Designer? Is this Different from an Interior Decorator?